While Android godfather Andy Rubin’s Essential Phone was my favourite smartphone of 2017, even I had to acknowledge the device’s small, but nonetheless troublesome failings. Quite frankly, despite the phone’s affordable price following its radical discounts, as well as the phone’s impressive build and overall feel, the Essential Phone suffered from truly nauseating jelly scrolling screen issues, while the device’s camera was supremely underpowered. 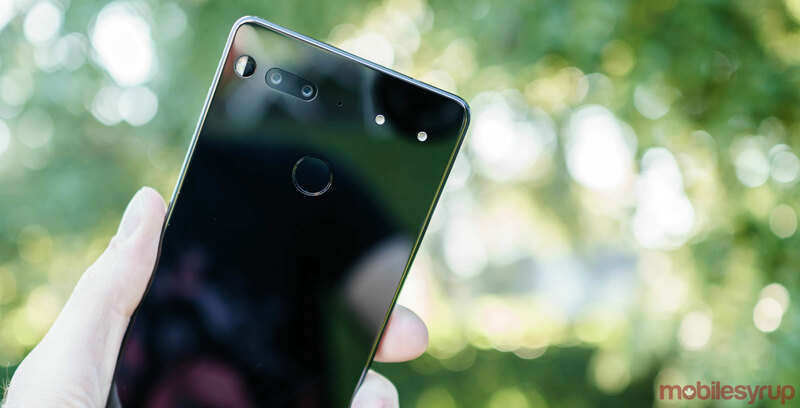 Still, thanks to the multiple price drops issued by Essential — not to mention discounts and deals that sporadically popped up — the Essential Phone eventually became one of the most worthwhile smartphones to own, chiefly because of its low cost. However, it looks like the end might finally be nigh for Andy Rubin’s once highly anticipated smartphone. 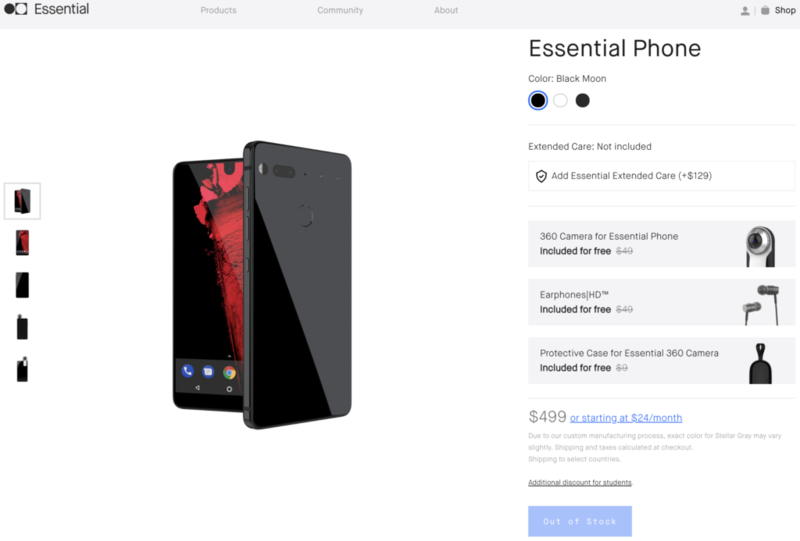 According to Droid Life — and corroborated by MobileSyrup — every variant of the Essential Phone is out of stock on Essential’s website. Additionally, it appears that there’s limited Essential Phone stock on websites like Amazon.ca and Best Buy Canada, while Koodo and Telus, the two Canadian carriers that supported the phone, no longer list the device on their websites as well. Despite the lack of phone product, Essential still sells a number of accessories, including the 360 Camera, the device’s stellar fast charger, both the ‘Earphones Mini’ and ‘Earphones HD,’ as well as a 3.5mm headphone dongle, and a clear Incipio NGP Pure Slim Polymer Case. While it might be disheartening to some to learn that the Essential Phone is effectively no longer available for purchase — unless you’re willing to put in the effort to find a new model or you simply opt for a secondhand model — it’s worth noting that the device is rapidly approaching its two-year anniversary. Planned obsolescence being what it is, most flagship devices are expected to last between two and three years, even though manufacturers other than Apple often stop marketing and selling older flagships around this time. As such, the Essential Phone is an outdated device, even if its Snapdragon 835 and 4GB of RAM are still more than powerful to support most user requirements, even in soon-to-be 2019. It’s also important to note that analysts are skeptical of Essential’s legacy as a company as a result of the lacklustre sales of the Essential Phone, as well as the fact that the company never actually released its previously announced Essential Home Hub product. Allegations that Google paid Andy Rubin $90 million to leave the Mountain View search giant due to alleged sexual misconduct haven’t helped the company’s brand image, even if the allegations predated Rubin’s tenure as CEO of Essential. Essential also acquired Newton email app developers CloudMagic in December 2018, a move that was baffling since Essential always presented itself as a hardware company first and foremost. Granted, what remains impressive is the fact that Essential has continued releasing Android letter updates as well as monthly security updates, as per the company’s promised schedule. As it stands, however, it appears that the saga of Andy Rubin’s Essential Phone has effectively come to an end. It was a strange journey getting here, but like life, all intriguing things must eventually end as well. Update 31/12/2018 11:38am ET: In a statement to 9to5Google, Essential confirmed that the company won’t be replenishing its inventory of Essential Phones.